The title of this blog sounds like an idyllic village nestling in the English countryside (probably one that lost its station in the 1960s following the Beeching cuts). In fact it means the Ruston loco has emerged from the paint shop. The loco was sprayed with Citadel Caliban Green using a ‘spray can’. The chassis was painted black and the cab details were painted to represent the transmission, dials and brake lever. To allow easy access to the cab interior I had not fitted the roof. When I did, I had to use some filler to fill the gaps between the roof and the cab then carefully respray the join. The nameplates on these Rustons are made from cast Aluminium and the raised lettering is normally ‘Aluminium’ in colour. To recreate this I carefully sanded away the green paint to reveal the white metal underneath. This recreated the look of the original. It needed to be done carefully but I’m rather pleased with the result. Afterwards the loco was lightly weathered. 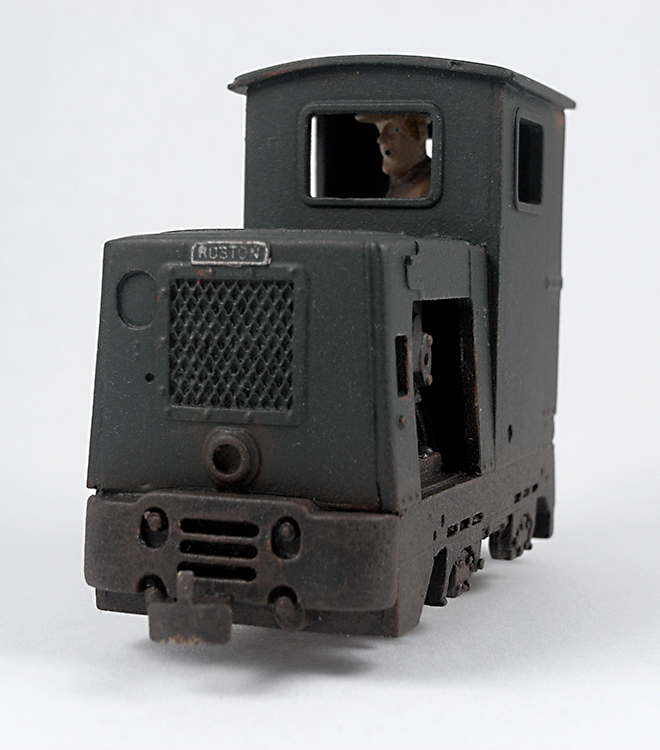 I dry brushed the whole loco with a light coat of Ulthuan grey to give it a faded look, added some rust colour (a mixture of XV88 mixed with a small amount of Doombull Brown), and added dirt to the chassis and around the cab by stippling on Stirland Mud. Stirland Mud is a strange semi-solid paint but I like the effect it gives. (All of these paints are Citadel colours). 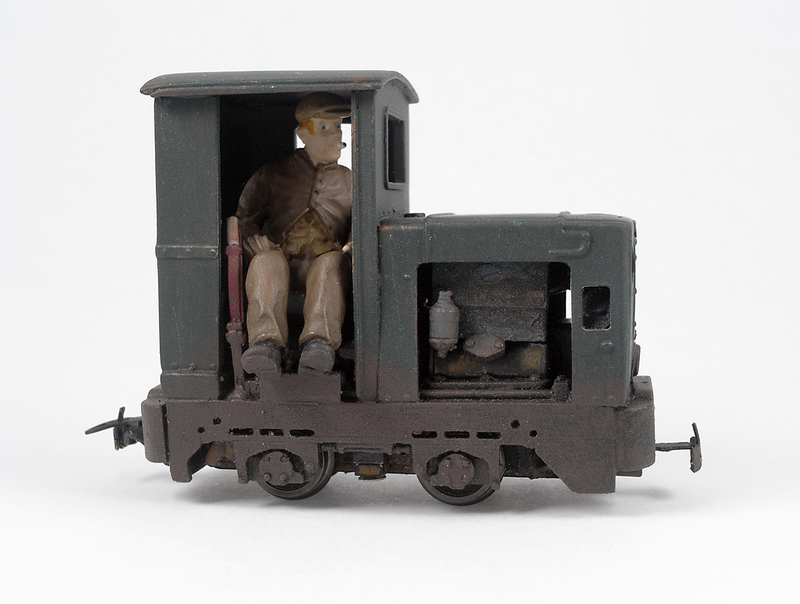 Finally, I gave the loco and driver a spray with Testors Dullcoat and glued him in the cab. Thanks Pete 🙂 Like most modellers I can never have enough locos !